List Your Car with CarCluster.com. We do offer free plan. We do not charge commissions on your listings. Pay only for any extra leads than acceded under your plan. 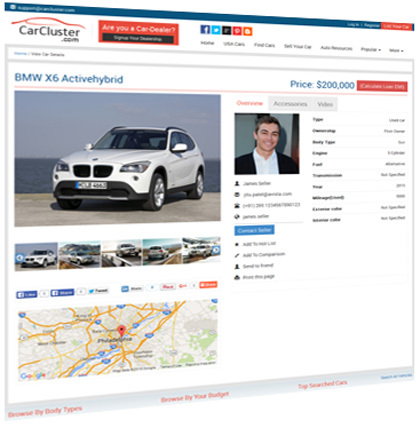 Create an online car ad in 3 easy steps and manage your listing anytime. CarCluster.come allows precised and exceptional exposure to your car Advertise. Get competitive offers sent straight to your inbox without having to speak to any agent. Attract car buyers by sharing your car details on famous social networking sites like facebook, twitter and more. CarCluster.com provides social network sharing tools to know about your car in your network. CarCluster.com is device friendly platform. You can update your car listings, view leads and communicate with your potential buyers with any device like smart phone, tab or laptop. Top your listing by making it sponsored. Sponsored listings displays top of any search results. You can show your listing countrywide, regionwide or even citywide by using our value added services. Featured listings displayed after the sponsored listings in the search results. These also attracts buyers attention widely. Latest featured listings takes place on the home page also with car information and photos. 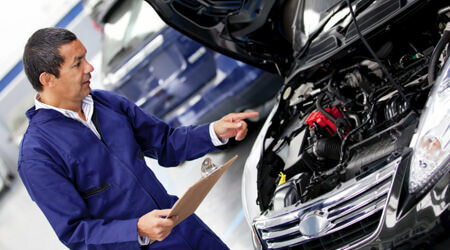 Get your car inspected with independent car inspector. Have a detailed health report about your car. It is important to become a trusted seller and make your deal hassle free.